Since the 1st of January 2010 all new buildings in Ireland, excluding private houses, require a Disability Access Certificate. Buildings where there is a change of layout will also require a Disability Access Certificate. A Disability Access Certificate is issued by the Building Control Authority (Local Authority) to certify that the building complies with Part M of the Building Regulations. 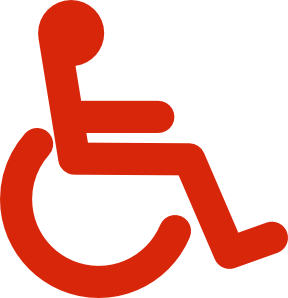 An application for a disability access certificate requires a consultant to carry out an assessment of the proposed works and submit an evaluation report on this assessment. A disability access certificate will only be issued by the building control section of the local authority when it is satisfied that the proposed works have been assessed and that the proposed drawings, when built, will meet the requirements of Part M of the building control regulations. An architect or other professional prepares an Access Cert application to demonstrate that the design of the building meets the recommendations of Part M. The Building Control Authority reviews the application, and issues the cert once they are happy with it. All building work that now requires Planning Permission and a Fire Certificate will now also require an Access Certificate. All commercial and non-domestic building work that starts on site after 1st Jan 2010 will need a certificate before works begin. The description of non-domestic building work includes new hotels, apartment blocks, shops, churches, offices, etc. Every type of building except private houses including any changes to these types of buildings that will affect their layout or facilities, e.g. extensions, ramps or toilets. PDS will make the application for access certificate normally at the same time as a application for the Fire Certificate. Work cannot start on site without an Access Cert. However, as there is no official time period (unlike a Fire Cert) in which the Building Control Authority are required to issue the cert, this may potentially lead to delays for applicants. There is a flat application fee to the Local Authority of €800, irrespective of the size of the building or the extent of the changes. A new toilet in a coffee shop costs the same as a new regional hospital.